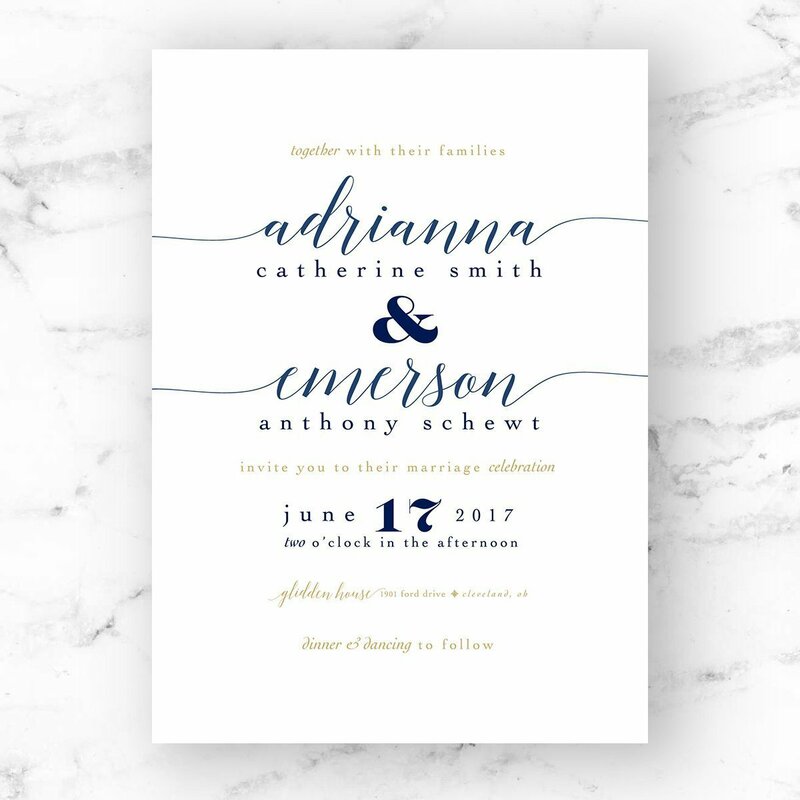 Let your guests know that they are in for an upscale, black tie event with The Emily Suite. 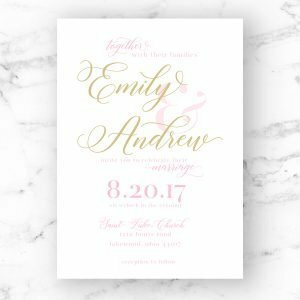 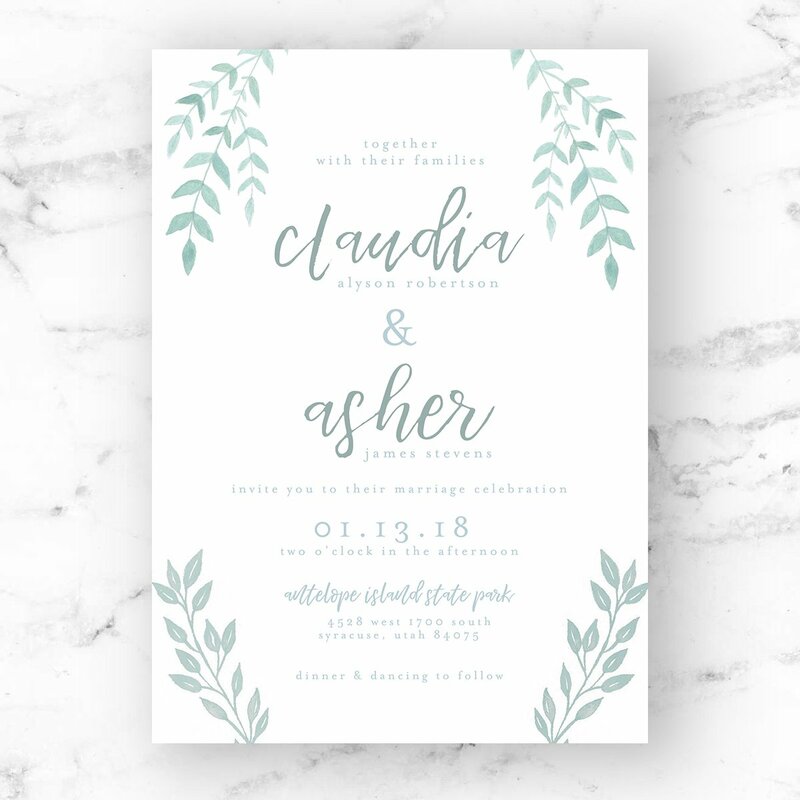 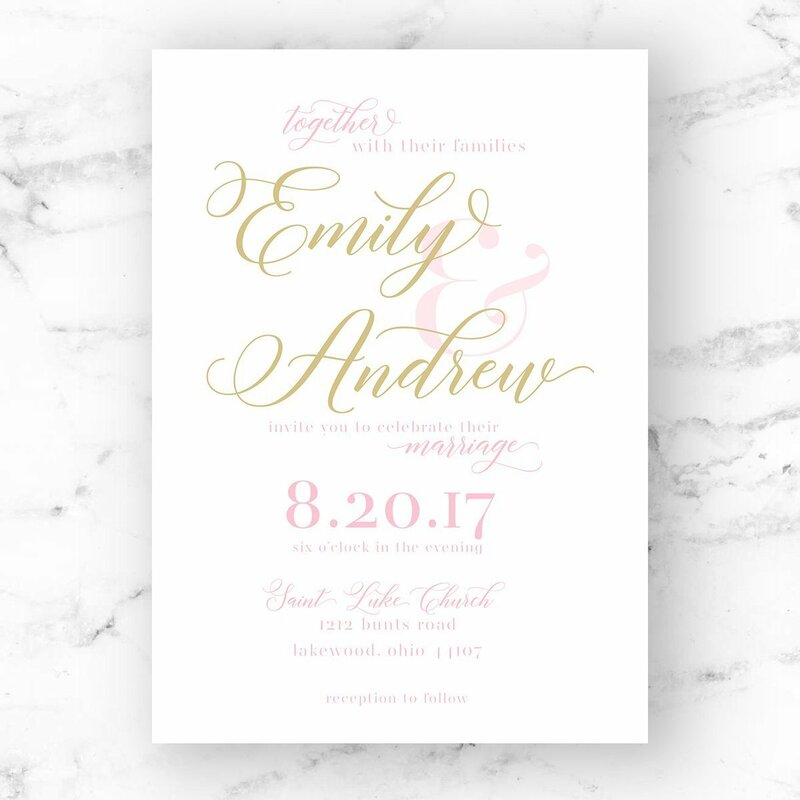 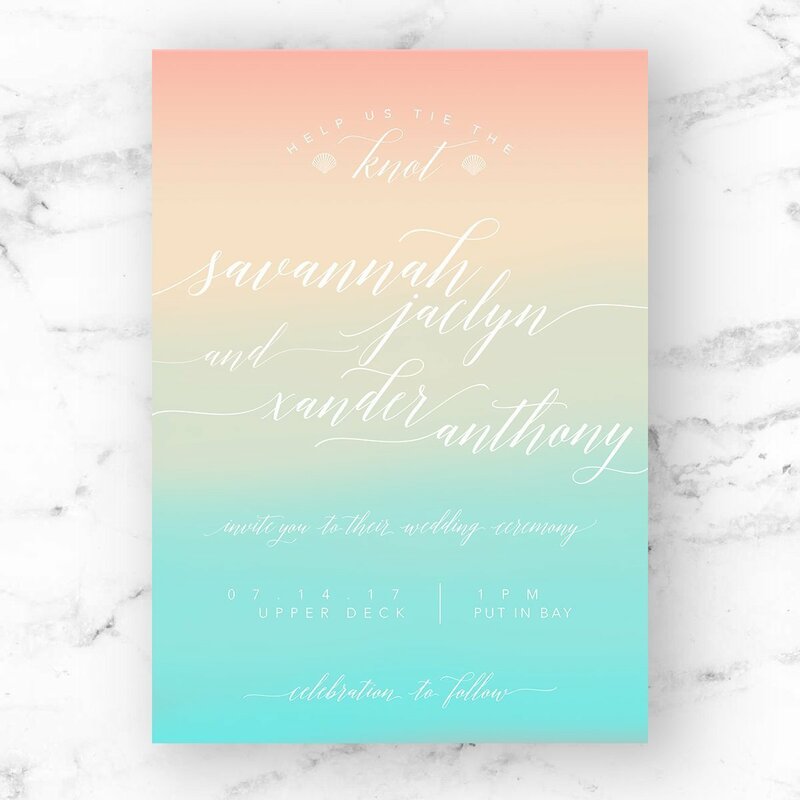 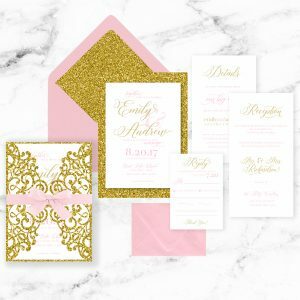 Complete with a graceful script and the perfect serif font, this suite is the perfect mix of classic and graceful, with a hint of fashion. 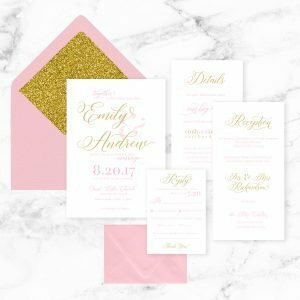 To make The Emily perfect, add a gold foil finish, a glitter laser cut enclosure, and a beautiful ribbon or lace.